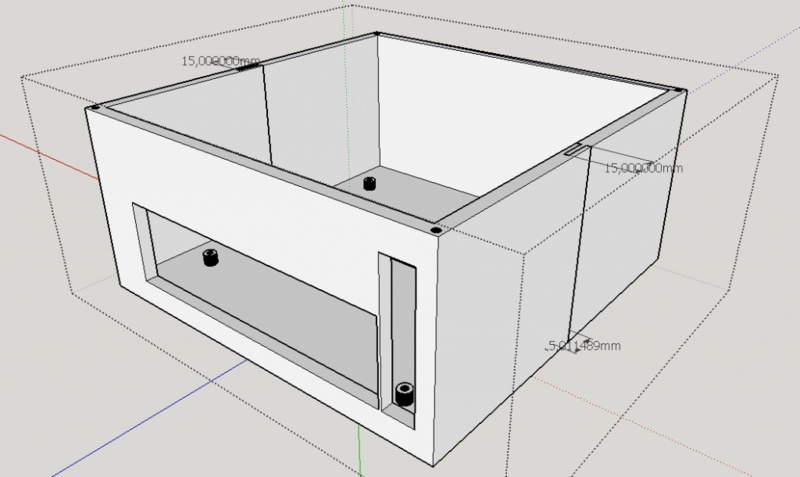 3D print models for central console and PC case – Modelos de impresión 3d para consola central y carcasa de PC. It’s been a long time, because of job and because I was also sick I couldn’t give much time to the project, but I did some advances lately. I’ve implemented a basic MP3 player embedded in the software, so I can have some music, later, I’ll implement a more advanced and cool looking one, but by now is not a priority. 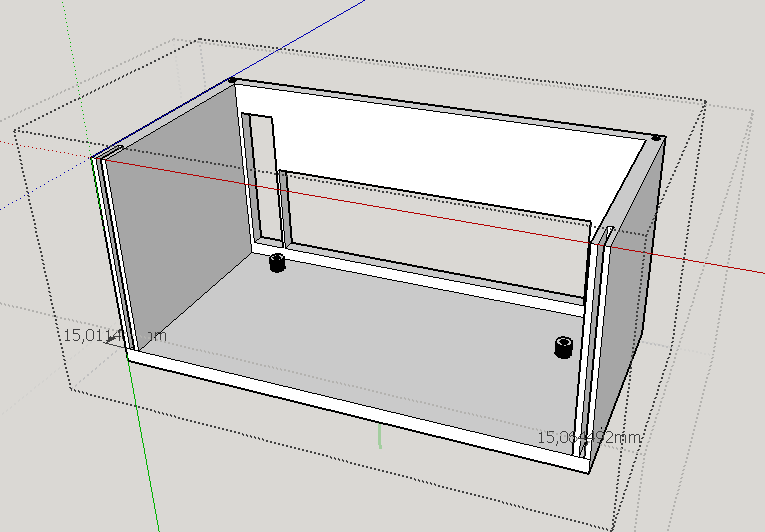 Also, and much more important, I did the 3D design for the center console bay, there the Arduinos, relay boards and the touch screen will be installed. 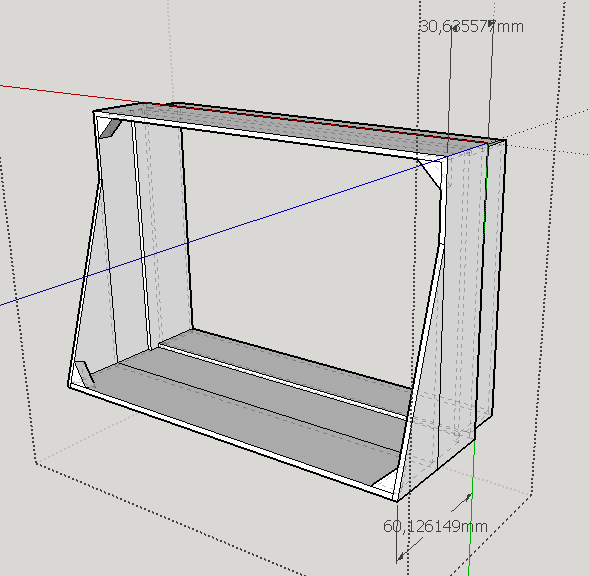 As you can see is a 4 piece design, I had to do like so because the 3D printer is a Makerbot Replicator 2X and despite is an amazing machine, it’s printing volume isn’t very large. The same will occur when I make the 3D model for the piece that will replace the gauge cluster, since I’m not an expert 3D designer at all, I leave for the end this part, so I can improve my 3D skills with the easier parts. 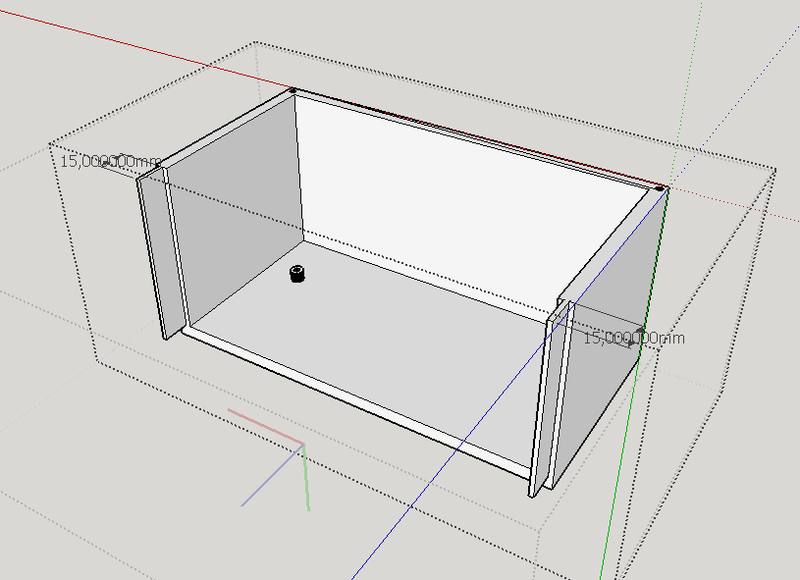 I’m doing the design with Sketch UP, which is fairly easy to use and has the necessary features to design this kind of models. So I did with the box that is going to hold the MiniITX board, since I didn’t find any box that was small enough I did one myself, also, split in two parts. 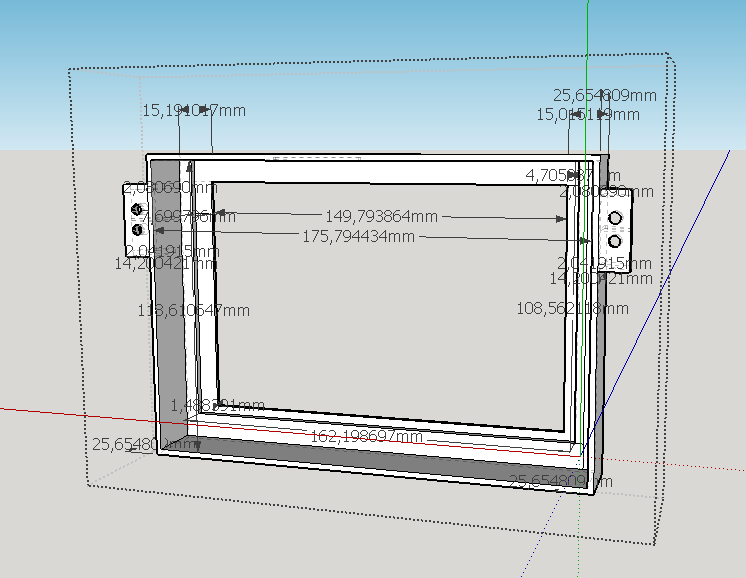 This coming week I’m going to print all the parts and assemble the electronics inside the box, and during the week I hope to have time enough to model the gauge cluster frame, but I’m not sure of that. Ha pasado mucho tiempo!, a causa de mi trabajo y de que estuve enfermo no he podido dedicarle mucho tiempo al proyecto, pero he hecho algunos avances. He implementado un reproductor MP3 básico integrado en el software, así podré tener algo de musica :), más adelante lo haré más chulo y le añadiré más características, pero por ahora no es una prioridad. 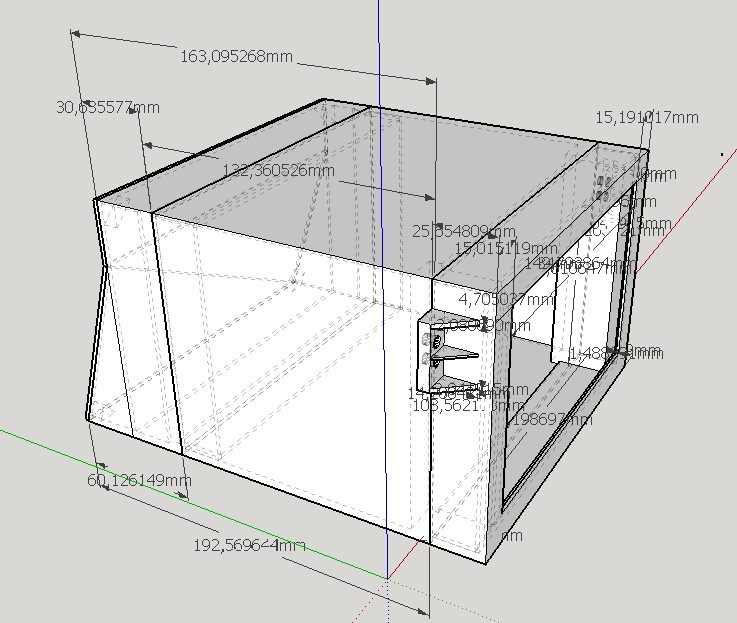 También, y mucho más importante, he hecho el diseño en 3D de la caja de la consola central, donde los arduinos, las placas de relés y la pantalla táctil irán alojadas. 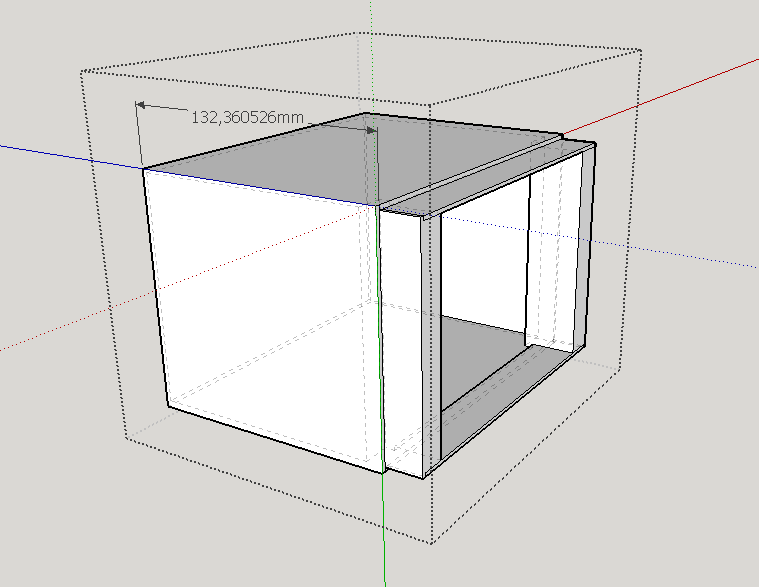 Como podéis ver, es un diseño de cuatro piezas, lo he tenido que hacer así porque la impresora 3D es una Makerbot Replicator 2x, que a pesar de ser una máquina fantástica, no tiene un volumen de impresión demasiado grande. 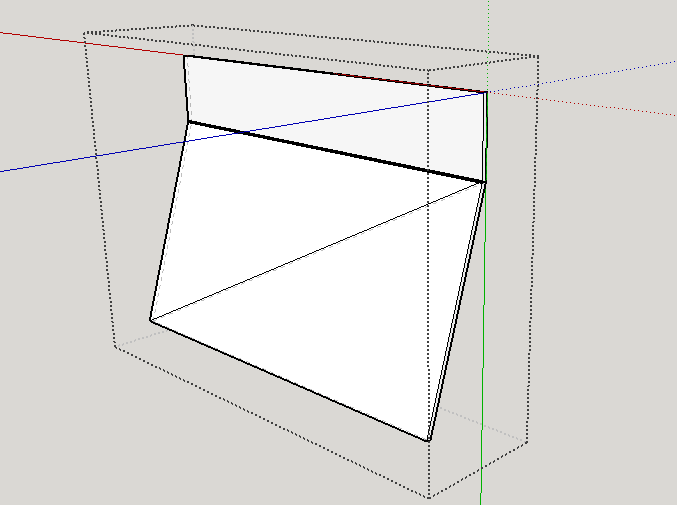 Lo mismo pasará con el marco de las pantallas que reemplazarán al tablero original, ya que no soy un diseñador 3D experto en absoluto, me he dejado esa tarea para el final, así puedo ir mejorando mis habilidades mientras modelo las piezas más sencillas. Esta semana que entra imprimiré todas las piezas y montaré dentro la electrónica. Durante la semana espero tener tiempo suficiente para modelar el marco para el tablero, pero no estoy seguro de llegar. Siguiente entradaSiguiente First version installed!!! Primera versión instalada!! !